I did it again! This is the second year in a row that I’ve been awarded “Best Of” and I couldn’t be more excited about it. 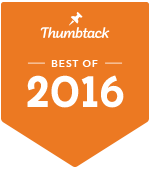 Thanks to everyone who hired me through thumbtack.com and left me 5 star ratings! I can’t wait to see what this year will bring. I highly look forward to photographing many new faces as well as many old ones.